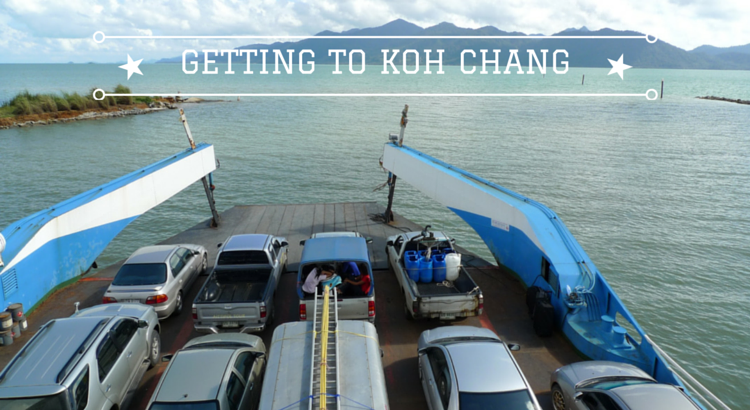 Getting to Koh Chang is relatively easy and fast in comparison to many other islands. Thanks to its close proximity to Bangkok you can choose between several transit methods. As there is no right answer of traveling to Koh Chang, the mode of transport depends mainly on your time and comfort. We have selected the three main hubs from where visitors arrive from – Bangkok, Chiang Mai and even Cambodia. In brief, flying to Trat Airport on Bangkok Airways is the quickest, but also most expensive way of getting here. At the other end of the price scale, taking the public bus is a popular option for travelers on a budget. In the middle are shared minibus services which offer the convenience of being picked up from your hotel in bangkok and dropped off at your hotel on Koh Chang. Or, if you require more flexibility, a private transfer is an excellent cost effective, quick and hassle free mid-price option. Providing you leave the city centre of the airport by lunchtime, you can easily reach Koh Chang the same day. The most convenient way to reach Koh Chang is by plane. Although you have to fly to Trat (TDX) on the mainland, Koh Chang is just a stone’s throw away and easily reachable via minibus or private car from there. There are cars and minivans outside the airport that offer door-to-door service from the airport to your hotel on Koh Chang. Prices start at 550 THB (one-way) for a shared minibus service. There are currently four daily flights in each direction between Bangkok and Trat. These are all operated by Bangkok Airways, the company that also owns and operates Trat Airport. The flight takes just about under one hour. 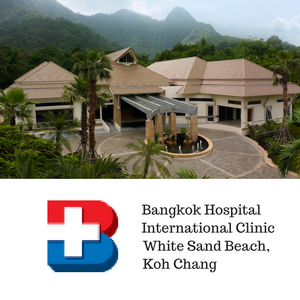 There are three locations from where you can take a bus to Koh Chang: Suvarnabhumi International Airport, Ekkamai Bus Terminal and Mochit Bus Terminal. Do note that most buses won’t drive directly to the pier but to the bus terminal in Trat. Take a blue Songthaew (a shared taxi, basically converted pick-up truck) from the bus station to the pier. The cost is 50 – 60 THB per person but the driver will charge more if there aren’t any other passengers and you want to go privately. In that case figure on around 350 Baht total. Also known as Eastern Bus Terminal, Ekkamai Bus Terminal is located right in the city centre between Sukhumvit 40-42 and sits in convenient walking distance to Ekkamai BTS Skytrain station. Hop on bus no. 999 that departs twice a day from here, at 07:45am and 09:00am and takes about 5 and a half hours the Laem Ngop. The bus will drop you off at one of the piers. Ticket price is 260 THB, one-way. Regular public minibuses also run from here to Trat, costing 300 THB. Alternatively, you can drive with Cherdchai Bus Tours or Thanakawee Tours (5-6 hours) as both companies offer more departing times. These buses stop at Trat Bus Terminal from where you have to catch a Songthaew to the pier. Costs are 250 THB, one-way. There are minivans and buses traveling from the airport to the pier and even to Koh Chang. After picking up your luggage, go to door 8 on the ground floor and look for the service desk from the Suvarnabhumi Burapha Bus Company. They run bus and microbus services three times a day year round. The microbus will drop off at your hotel on Koh Chang (600 THB). Departures at 11:00am and 02:00pm. Or the 40 seater big bus at 07:50am, also 600 Baht. You will change to a minibus when you reach Koh Chang and will also be dropped off at your hotel. At present there aren’t any direct bus or minibus services from Don Meuang to Trat or Koh Chang. Once on Koh Chang you can see Songthaews waiting by the arrival jetty. Just tell the driver your hotel’s name and he will drop you right at the doorstep. Prices range between 60-150 THB. The drive from Bangkok to Koh Chang takes approximately four hours, but add another 60-90 minutes for the ferry ride and the way from the jetty to your hotel. The highway conditions are great while the land is widely flat, making the drive easy and comfortable while experiencing the country from a different side. You have to leave Bangkok on the BangnaTrad Road and then follow Highway 344. The trip takes in numerous towns: Bangna – Chonburi – Ban Bung- Klaeng – Chantaburi – Trat. Once in Trat, look out for the ferry pier signs, ‘Centre Point’ or ‘Ao Thamachat’. Ferries from both piers are able to carry cars and charge the same: 80 THB for passengers and 100 THB cars (one-way). The majority of hotels and resorts are located on the west coast – after arriving at the pier you have to turn right on the main road and continue further on. Private transfers becoming more popular these days and are especially recommended when travelling with families, elderly or in groups. Prices depend on the number of passengers and start at 4,600 THB. See more information on private transfers at the bottom of this page. Although Chiang Mai is Thailand’s second largest city, there is no direct transfer in any form to Koh Chang. You have to either fly or drive to Bangkok and then follow the above steps. If you opt for the bus you first have to go to Bangkok. All buses from Chiang Mai depart at Arcade Bus Station and drive straight to Bangkok’s main bus hub, Mo Chit Bus Terminal. Only some buses will stop at Ekkemai Bus Terminal, make sure to ask at the counter before. If you arrive at Mo Chit you can take the BTS Skytrain (5 minutes by taxi from the bus terminal) and drive to Ekkemai (20 minutes). The costs for the bus ticket range between 450-600 THB, depending on the class and comfort you choose. Driving by bus from Chiang Mai to Ko Chang is probably a tough journey, as you will sit 15-16 hours combined. There are multiple airlines connecting Chiang Mai (CNX) with Bangkok such as Air Asia, Nok Air, Thai Smiles or Lion Air, among several others.However, you have to make sure to arrive at Suvarnabhumi International Airport (BKK) not at Don Mueang (DMK) in order to catch your onward flight with Bangkok Airways. Of course, you can also take Bangkok Airways from Chiang Mai, with a short stopover in Bangkok (1.5 hours) before continuing to Koh Chang. As alternative you can also take the above-mentioned 10-seater van or 40-seater bus from the airport to Trat or direct to Koh Chang. Koh Chang is located close to the border of Cambodia and makes up a popular first entry point to the ‘Land of Smiles’. We recommend starting the journey in the early morning, due to potential long waiting times at the border and departure of the latest ferry to Koh Chang at 07:30pm. First you have to get to Poipet where the border is. You can reach the town via bus (about $10) or taxi (about $50). There are local taxis and minivans waiting at Aranyaprathet, the Thai side of the border, ready to drive you to Trat (from 2,000 THB, depending on the number of passengers). The cheaper but longer alternative would be taking a bus from Aranyaprathet Bus Station to Chanthaburi (4 hours) and from there to Trat (1.5 hours). There is unfortunately no direct service from Aranyaprathet to Trat. The fastest way is by plane: fly with Bangkok Airways from Siem Reap to Bangkok and then connect to a flight to Trat. Several private companies offer shared minivan services from both towns. The trip takes you across the border at Had Lek (on the Thai side) and then further on to the piers in Trat (120 km). Costs are between 900-1200 THB. If you prefer to travel independently take a public bus to the border (costs between $10-12). Once in Had Lek, take the minibus service to Trat, departing every 45 minutes and then a Songthaew to the piers for boats to Koh Chang. Unless you are on a tight budget, a private transfer probably offers the best value for money and compromise of cost vs. convenience for the majority of visitors heading to Koh Chang. 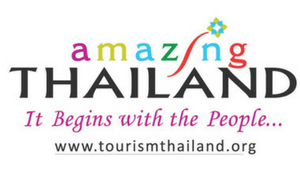 Discover Thailand with the T.A.T. Recently Added . 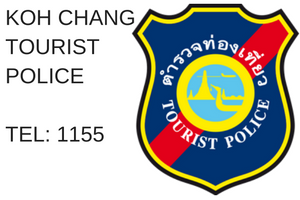 . .
More detailed information for visitors to Koh Chang and islands nearby.